My friends and I made a short video to celebrate Xmas in freediver’s style. On the shooting day, it was 75F outside and the water was even colder. We were almost frozen mermaids. Anyway it was a really fun time tho. People are worried too much about what they eat between Christmas and New Year. But they actually should be worried about what they eat between New Year and Christmas. Let’s just eat, drink, and be merry! Just got my free diving level 1 certification! Yay! My biggest plan of the year broke suddenly and I couldn’t be more disappointed. On a beautiful Friday morning, within an hour I decided to go to Bali again with a group of divers who I knew no one before. All paid. Flight ticket: booked. Hotel: booked. Bali, here I come, again 🙂 No more hard feelings. The night before departure: Packing – one of the hardest part of a girl’s trip I think, to decide what to bring and what not to bring. I only had 7kg of hand carry-on luggage for 7 days ahead. What to bring? Beauty stuff (all in travel size): deodorant, cleansing oil, shampoo and body shampoo, lip palm, lip stick, etc. I packed all in my large and light backpack. I also packed 1 small trekking backpack and my running belt. I wore the running belt most of the time I moved. It could store my passport and boarding pass, money, earphone. Breakfast on the go. Morning flight from HCM to Kualar Lumpur. Lunch at Kualar Lumpur airport. I still had time to grab a coffee for myself. Then afternoon flight from Kualar Lumpur to Denpasar, Bali. Arrived at 9pm. Dinner at 10pm. 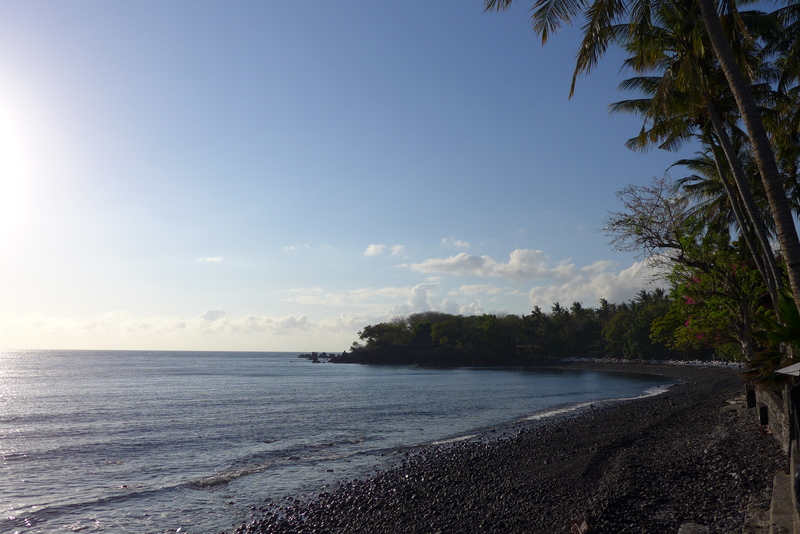 Then 1,5hrs more on bus heading to Tulamben where my new friends and I would spend 3 full days for diving only. 12am. Tulamben here we are. 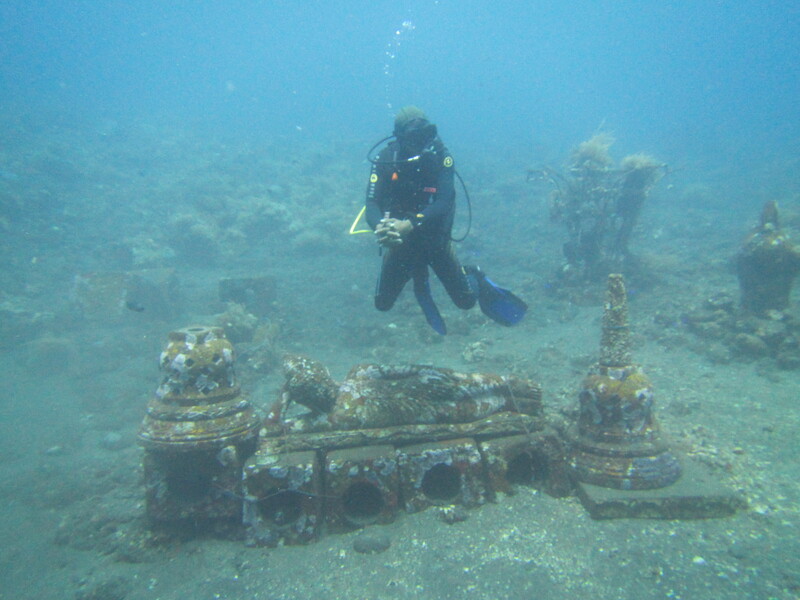 Tulamben, on the East of Bali island, is a world known site for divers. 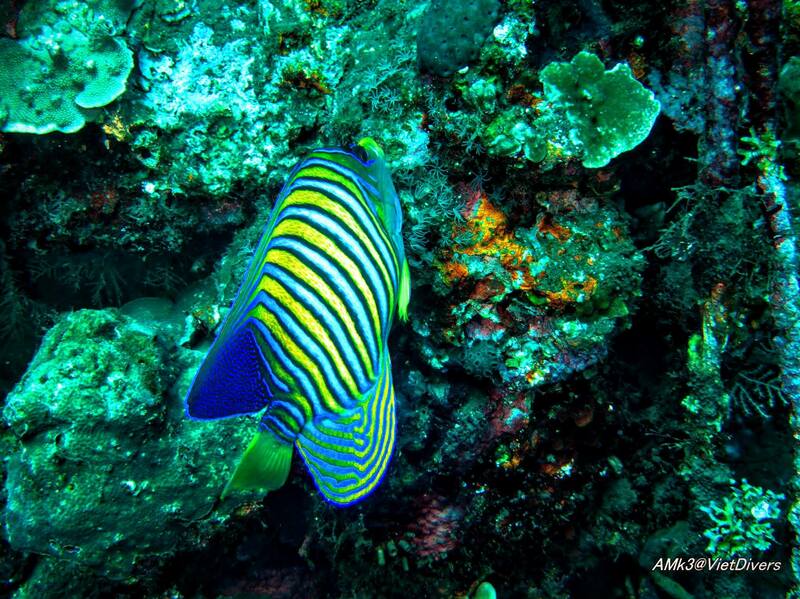 Along the East side of the island, there are total 17 dive sites from South to North. We all were too tired for sunrise dive. 8am, 1st dive: Suci place, shore dive. 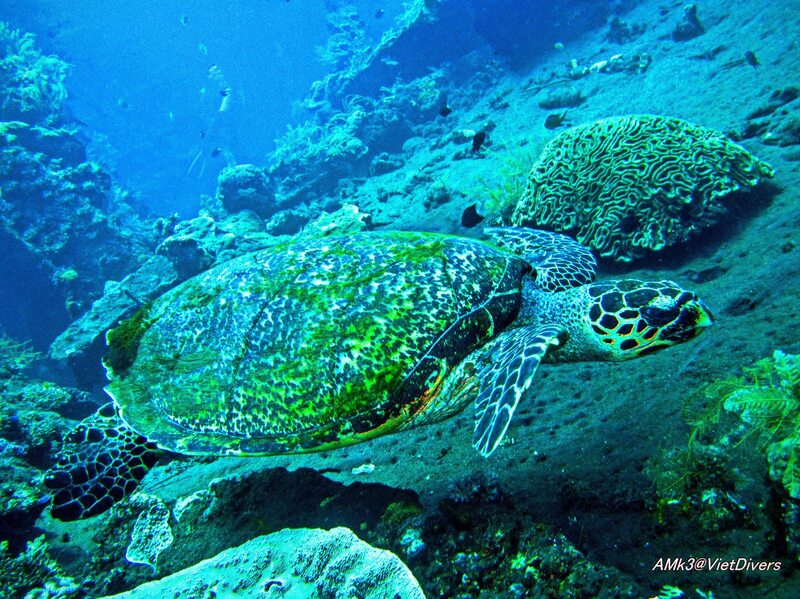 2012-2013 Matahari Tulamben Resort started to create a new Divespot just in front of the resort. 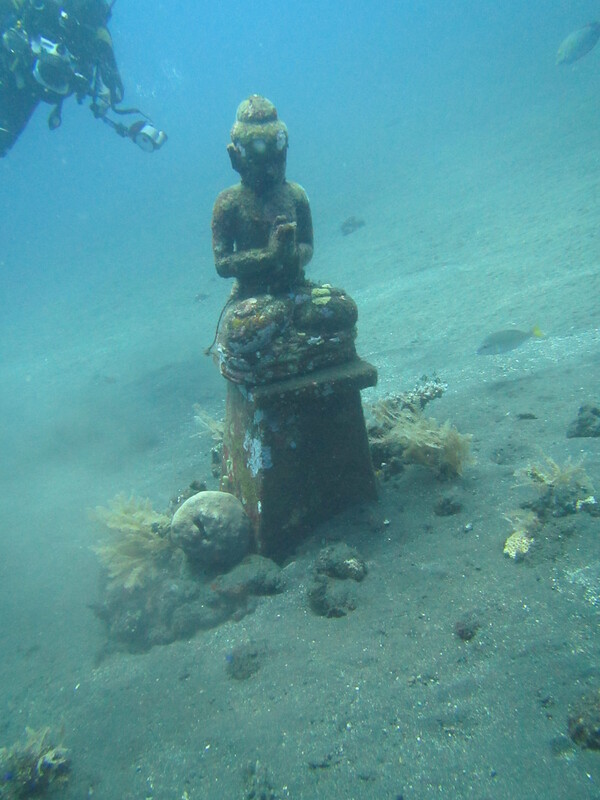 Depth 9 to 17 m. Beside the figures of “Buddha”, his mother, the goddess “Dewi Tara”, “Sleeping Ganesha”, you will find different artifacts. 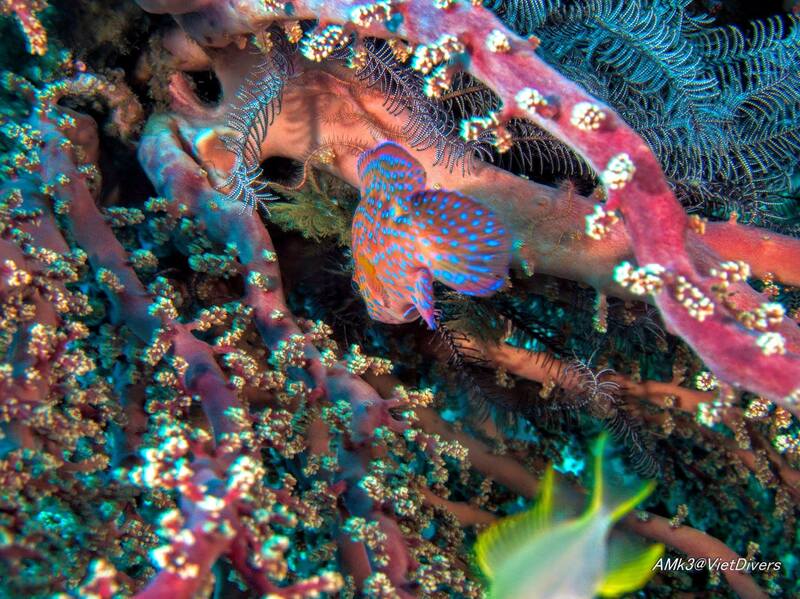 In the meantime the place is not only popular for divers. 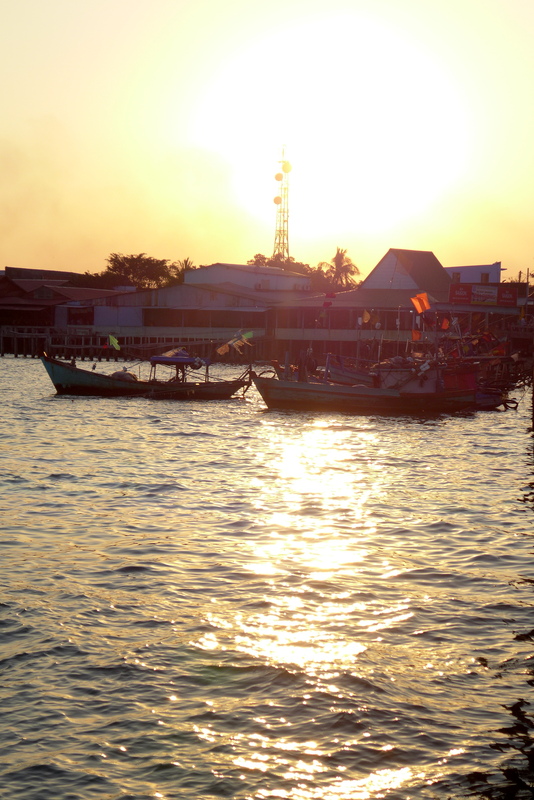 A lot of fishes, net murane, cleaners and critters found a new home and like this place very much. Even Mola Mola and Eagle ray have been there already. I wish my camera could be better… So most of following photos are taken by my friends and marked their names. 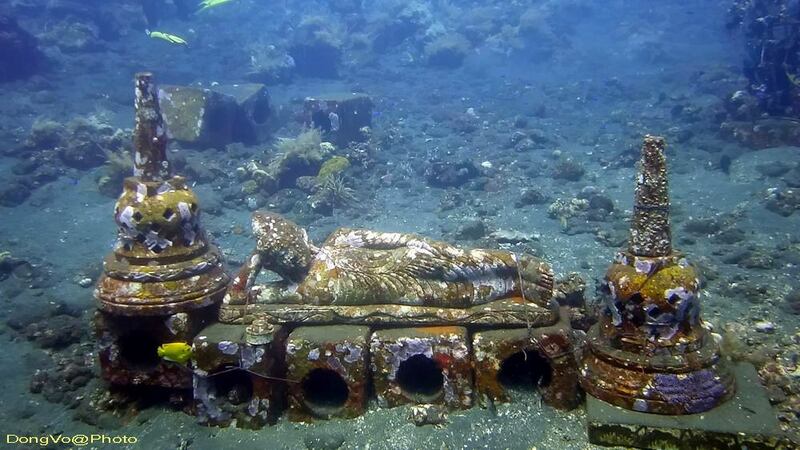 They took awesome photos, way better than mine..
USAT Liberty was a United States Armycargo ship torpedoed by Japanese submarine I-166 in January 1942 and beached on the island of Bali. She had been built as a Design 1037 ship for the United States Shipping Board in World War I and had served in the United States Navy in that war as animal transport USS Liberty (ID-3461). She was also notable as the first ship constructed at Federal Shipbuilding, Kearny, New Jersey. 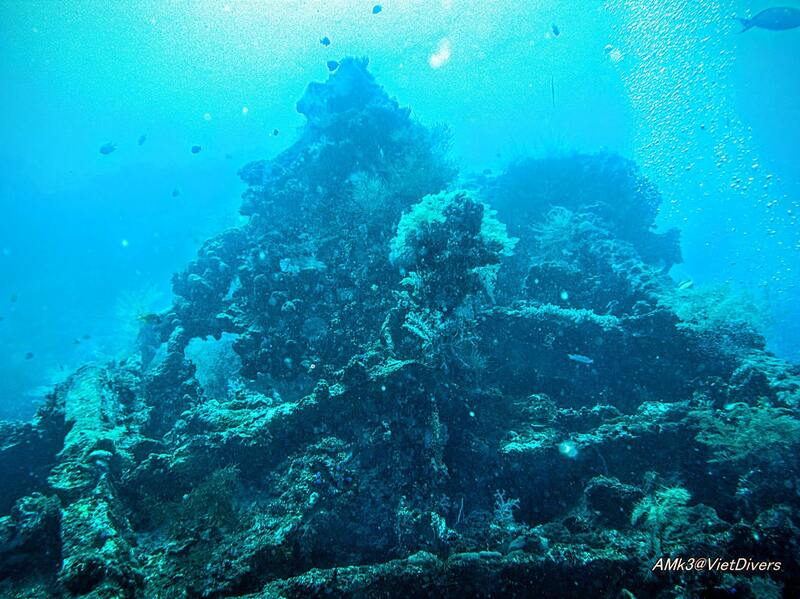 In 1963 a volcanic eruption moved the ship off the beach, andLiberty‍ ’​s wreck is now a popular dive site. P.S: I’m thinking of buying a Canon D30 or a GoPro 4 Silver. I want to have underwater pictures!! 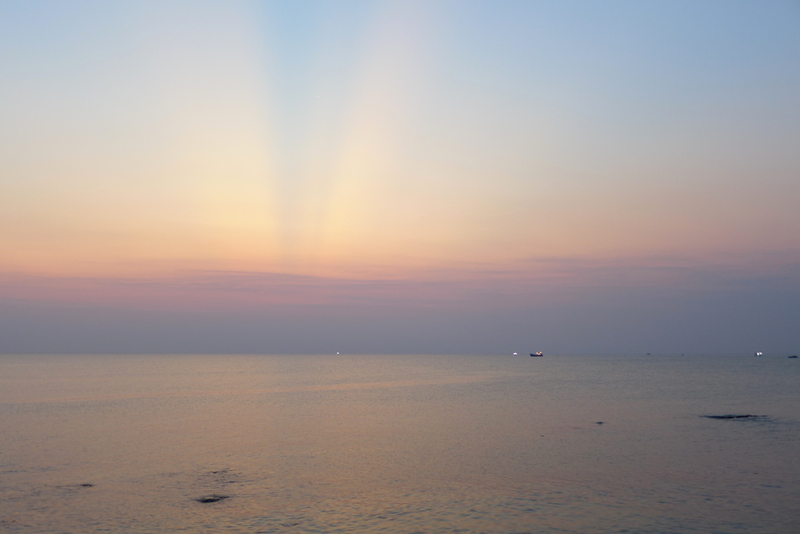 I just had 4 peaceful days on a very nice island – Phu Quoc, Vietnam. The beach is simply amazing. 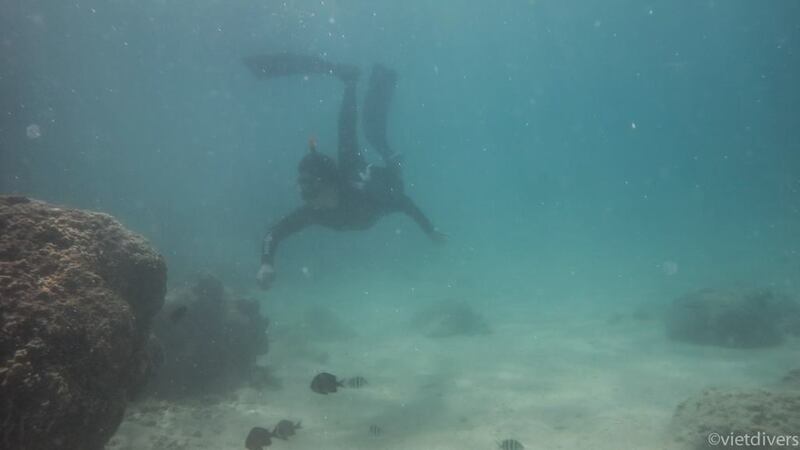 Besides few accidents such as got bitten by jelly fishes and sea urchins while scuba diving (and also had seasick and threw up everything on first day of ocean dives, OMG so embarrassed >.<) , the whole trip was completely wonderful 🙂 new friends, new experiences..
Now back to work. Work hard, play hard.